ASUU announced that this year’s Redfest will feature Migos, with Aminé as the opening act. Redfest is an annual concert planned by Associated Students of the University of Utah (ASUU), which is held on the Union Lawn and is free for U students. This year, the event is on April 19. Aminé’s song “Caroline” debuted at number 11 on the Billboard Hot 100. Both artists were selected for their media involvement and current traction among college students. Within the first 36 hours of the artist announcement, over 2,000 student tickets were sold. ASUU anticipates that at least 6,000 people will attend, and the concert’s capacity is 8,000 total. In previous years ASUU has held two campus concert events, one in the fall and one in the spring. This year, ASUU decided to direct all of its concert budgets toward one event instead of two, meaning that Redfest is receiving twice the funding it had in the past. The artist selection process was rigorous, according to Trevor Adcock, ASUU’s campus events concerts chair. ASUU began conducting market research in spring 2017 to gauge interest and build a list of potential artists, he said. An advisory board of students, faculty and staff from across the U must approve each artist on the list. The board considered the group’s current metrics, controversy and other factors before taking a vote, which required a majority. From there, the list was narrowed down to the artists within budget, who were then each contacted by ASUU. ASUU pitched the opportunity to over 100 artists, like Childish Gambino and J. Cole. 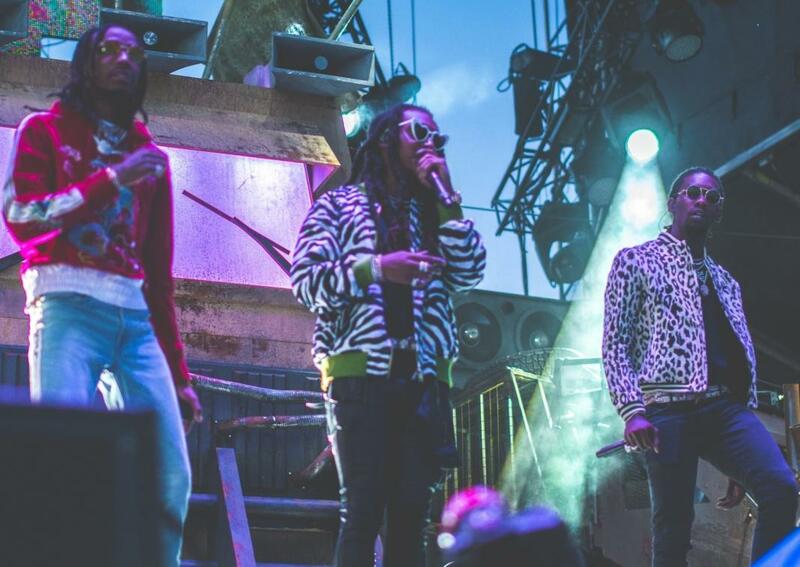 Migos was ultimately chosen based on their high popularity among students, quality of music for the cost and their availability on the date of the event. One week before the concert, ASUU will hold an open forum to discuss the language and culture used in the music of Migos and Aminé. A panel composed of U professors will facilitate dialogue on hip-hop and rap, with a particular focus on the artists performing at Redfest. This event is funded by the Campus Events Board budget, which is allocated 25 percent of ASUU’s overall annual budget. Adcock said he feels Redfest is a good use of this money because it gets students excited about the U and can help build a stronger connection between the student body and ASUU. “This is something that people can say, ‘My campus put that on,’ and it gives them something huge to look forward to at the end of the year,” Adcock said. Cordeiro said he hopes this event will serve as a celebration for students. “I just hope that the students get to really enjoy themselves for one solid night, and can have a quality de-stressor to celebrate the academic year we’ve been pushing through,” he said. Migos and Aminé will perform Thursday, April 19, on the Union Lawn at the U. Doors open at 6:30 p.m. Students can get one ticket free and a second for $5. General admission tickets are $35 and are available at the Union Services desk or at asuu.utah.edu/tickets.